The Queen – Her powers, perks and privileges. It seems likely that September 9th will see Queen Elizabeth II surpass the achievement of her Great Grandmother, Queen Victoria, and become the longest ever serving monarch in British history. Whilst the role of the monarch has long since been transformed from the potentially tyrannical approach taken by some of her forebears, it is interesting to look a little at some of the actual powers the Queen has and also of some of the perks that she uniquely receives. The special perks that the monarch enjoys is known as The Royal Prerogative and these are long-standing parts of the British constitution. These days many of these powers are exercised on Her Majesty’s behalf by government ministers. It’s important to remember that the Queen is Head of State and the theoretical and even physical centrepiece of our country. The government is Her Majesty’s government, the primary opposition party is Her Majesty’s Opposition and the role of the monarch is central in areas from The Royal Courts to the Royal Mint or the Royal Mail. If you don’t believe me then you may end up being detained in prison at Her Majesty’s pleasure or face a visit from someone on Her Majesty’s Secret Service. Over centuries the Royal Prerogative powers have been used less and less. However the really important element in our our Constitutional Monarchy system is that they still do exist. They remain the final and ultimate means of protecting democracy in this country and ensuring that no one can simply seize power. Victorian constitutional expert Walter Bagehot defined The Queen’s rights as, the right ‘to be consulted, to encourage and to warn’ and this is something Queen Elizabeth takes very seriously. She is dedicated to her duty of serving her country to her last dying day long after most people have put their feet up and retired. Most of the Queen’s political powers these days are largely ceremonial. On the occasion of General Elections or in times of crisis then they can be used by The Queen such as at General Elections or enacted on her behalf by her government. The Queen has the power to suspend or prorogue Parliament as well as to summon (call back) Parliament. Prorogation typically happens at the end of a parliamentary session and the summoning occurs shortly after, when The Queen attends the State Opening of Parliament. It is The Queen’s right and responsibility to grant assent to bills from Parliament, signing them into law. Whilst in theory she could decide to refuse assent, the last Monarch to do this was Queen Anne in 1708. This process is called Royal Assent and the Queen signs off every piece of legislation passed by the Houses of Parliament. The Queen can create Orders-in-Council and Letters Patent which regulate parts to do with the Crown, such as precedence, titles. Orders in Council are often used by Ministers nowadays to bring Acts of Parliament into law. Her Majesty also has the power to appoint and remove Ministers of the Crown. Not just in the U.K. but in about 17 other countries too. In 1975, for example, the Queen’s representative in Australia at the time, Gov. Gen. Sir John Kerr, fired the Prime Minister in response to a government shutdown. The Governor General appointed a replacement, who immediately passed the spending bill to fund the government. Just three hours later, Kerr dismissed the rest of Parliament. Then Australia held elections to restart from scratch. And they haven’t had another shutdown since. The Queen is ultimately responsible for appointing the British Prime Minister after a general election or a resignation. In a General Election The Queen will appoint the candidate who is likely to have the most support of the House of Commons. In the event of a resignation, The Queen listens to advice on who should be appointed as their successor. The Queen came very close to deciding on the Prime Minister in the 1970’s when there were periods of weak government and narrow voting majorities. It was a real possibility in the 2015 General Election that the Conservative Party may have been the single largest party but unable to obtain a majority in Parliament which would have left the Queen to decide what was best for the country. A Prime Minister belonging to the single biggest party but possibly unable to enact many policies or the leader of a Coalition party who was perhaps better placed to govern but without a real democratic mandate. The Sovereign retains the power to declare war against other nations, though in practice this is done through the Prime Minister and Parliament of the day. Under British law, The Queen is above the law and cannot be prosecuted – she is also free from civil action. The Queen also has powers in the Armed Forces though again usually acts through Generals or with their advice. The Queen is Commander-in-chief of the Armed Forces and all members swear an oath of allegiance to The Queen when they join; they are Her Majesty’s Armed Forces. The Queen’s powers include the commissioning of officers into the Armed Forces and also removing commissions. When members of the Armed Forces salute and officer, they are technically not just saluting a senior officer but The Queen’s commission. The organisation and disposition of the Armed Forces are part of the Royal Prerogative; the crown technically controls how the Armed Forces are used. Queen Elizabeth also has authority over the issuing and withdrawal of passports. This is often used by ministers on behalf of The Queen with regards to halting the movement of criminals or suspected troublemakers and terrorists. 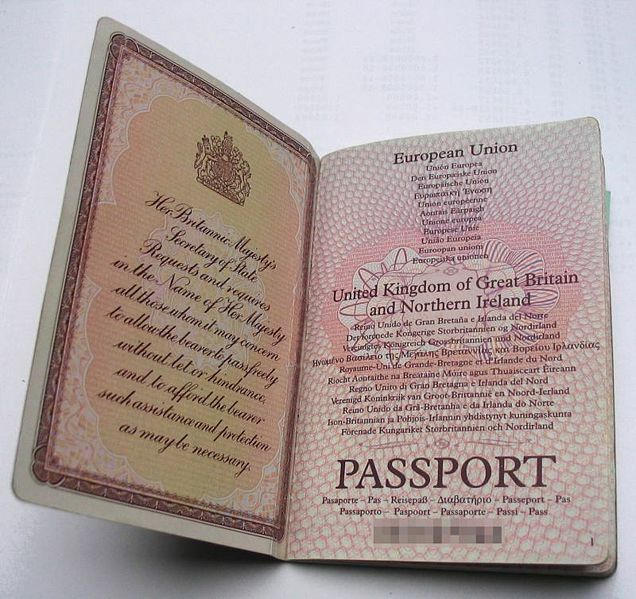 All British passports are issued in The Queen’s name and if a foreign nation or individual impedes a British subject then ultimately it is The Queen who you have to answer to as the passport guarantees the same trouble free travel as that enjoyed by the monarch herself. Of course The Queen herself has no passport but it doesn’t seem to impede her hundreds of foreign visits. The Queen also has the power to commandeer ships to be commandeered in Her Majesty’s name for service to the realm. This power was used on the cruise ship QE2 to take troops to the Falklands after the Argentine invasion in 1982. One of the main prerogative powers that are still used personally by The Queen these days is the power to grant honours. As all honours derive from the Crown, The Queen has the final say on knighthoods, peerages and the like. The Queen may create a peerage for any person – whether a life peerage or hereditary one, though hereditary peerages haven’t been issued for decades outside of the Royal Family. It is The Queen’s prerogative power to create orders of knighthood and to grant any citizen honours. From the Royal Victorian Order to the Order of the Garter. The Queen’s judicial powers are now very minimal and there is only really one which is used on a regular basis, with others having been delegated to judges and parliament through time. The Royal Pardon was originally used to retract death sentences against those wrongly convicted. It is now used to correct errors in sentencing and was recently used to give a posthumous pardon to Alan Turing, the WW2 codebreaker who apparently committed suicide after being treated badly due to his homosexuality. Queen Elizabeth is also the Head of The Church of England. 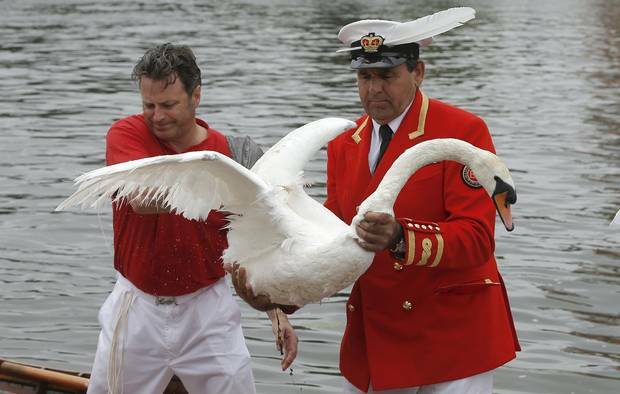 Whilst hunting game and venison is no longer restricted to aristocracy, The Queen owns all the white swans on the River Thames, all dolphins, whales and big fish in British waters as well as all treasures or cargo washed up on shore between high and low tide marks. The Queen can and does drive a car without a licence as licences are all held in her name anyway. She also doesn’t require a car number plate. In 1998 she shocked Saudi Arabian King Abdullah II by driving him as in Saudi Arabia, women aren’t allowed to drive cars at all let alone a Monarch driving herself. The Queen has two birthdays, her real birthday and her official birthday. She has her own private cash machine in the basement of Buckingham Palace despite famously never carrying any money which in any case has her image on it. The Queen has her own personal poet, the Poet Laureate and the poet is paid a salary of a barrel of Sherry each year. Uniquely, The Queen doesn’t have to pay any tax though since 1992 has voluntarily paid some contributions. She is a very astute business woman and runs her vast estates on business principals. Famously she is known to severely reprimand members of staff who leave lights and heating on in Buckingham Palace when no-one is in the room. As the saying goes, look after the pennies and the pounds will look after themselves. The Queen cannot be prosecuted and is immune from civil inquiries and Freedom of Information requests and does retain the right to act independently of the government in a crisis. As mentioned in UK Business Insider The Queen is also entitled to a fine selection of gifts and favours which hark back to medieval times. The town of Hungerford has to present a red rose to the Sovereign in exchange for its fishing and grazing rights. The Duke of Atholl must pay by way of a rose whenever the Sovereign calls. This most recently happened during the reign of Queen Victoria. If the Sovereign passes near Kidwelly Castle in Wales, the tenant has to provide a bodyguard in full armour. How this works in practice is unknown as the castle is currently a ruin. The Marquis of Ailesbury owns Savernake Forest and is required to produce a blast on a hunting horn should the Sovereign pass through the Forest. This last happened in 1943. Similarly, the owner of Dunlambert Castle in Northern Ireland has to produce a blast on an ancient bugle. The owner of Fowlis must deliver — when required — a snowball in mid-summer. The City of Gloucester pays for its holdings of Crown Lands by providing an enormous eel pie. Great Yarmouth must provide a hundred herrings baked in 24 pasties to the Sheriff, who then sends them to the Lord of the Manor — who then sends them to the Sovereign. The Duke of Marlborough has to present a small satin flag with a Fleur de Lys on August 13, the anniversary of the Battle of Blenheim. The Duke of Wellington has to present a French Tricolour flag before noon on June 19 — the anniversary of the Battle of Waterloo. Please note that as great as my quirky historical and political knowledge is, it would be disingenuous not to credit the excellent Royal Central website that managed to confirm parts of what I wrote above. This entry was posted in Culture, Funny & Humour, history, London, Politics and tagged Culture, Funny, history, Life, London, News, Parliament, Politics, Queen Elizabeth II, Royal Prerogative, The Commonwealth, The Queen, UK. Bookmark the permalink. 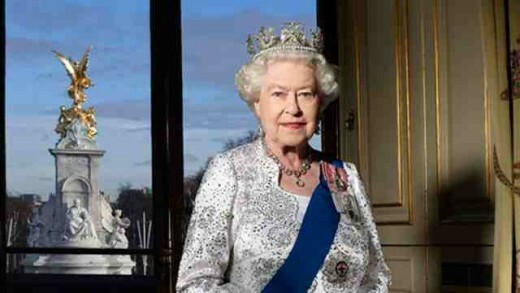 3 Responses to The Queen – Her powers, perks and privileges. Thanks Geoff! The history of the Isle of Man and the parliament there deserves a blog of its own!